→How Long Can You Leave a Persian Cat Alone? Sure, cats may seem independent, but they really can’t take care of themselves. So, how long can you leave a Persian cat home alone? It may be hard to leave your pet at home, but due to your work and social obligations, your pet will often be at home by themselves. But how long is too long? And what should you do make sure they are safe and happy during this time? Don’t worry if you don’t know the answers yet. In this post, we will discuss everything you need to know about leaving your Persian cat home alone. How Long Can You Leave a Persian Cat Home Alone? There are a few factors that determine how long you should leave your Persian cat home alone. You need to consider their personality and health status. Also, make sure that they will have access to fresh food, water, and a clean litter box. Health Status- Does your cat have an infection or disease that requires frequent medical attention? Do they need daily medications? If so, you need to make sure you are able to arrange for someone to administer the medication while you are gone. Food and Water- If your cat is alone for longer than 48 hours, their food could be stale or completely eaten. And, their water bowl might be dirty or empty. 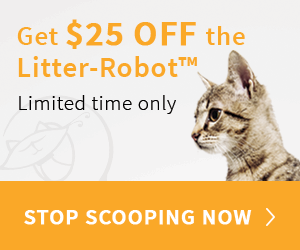 Litter Box- After 48 hours, your cat’s litter box won’t be fresh. So, your cat might refuse to use the litter box at this point. If you are going to be gone longer than 48 hours, you need someone to clean out the litter box. Or, you could invest in a self-cleaning litter box so your cat will always have a fresh box. Grooming- Persian cats require regular grooming. Their fur needs to be brushed and their eyes need to be cleaned. If your cat is left alone longer than 48 hours, their grooming routine will be disrupted. Their fur might become matted or stained. Their eyes could also become infected. Entertainment- Cats become bored if they are alone for too long. While you are going to be gone, make sure you leave plenty of toys for your cat to play with. Loneliness- Persian cats crave attention. Cats become attached to their owners and they can experience separation anxiety if they are left alone for too long. If you are going to be gone for longer than 48 hours, I strongly recommend that you hire someone to take care of your Persian cat. After 48 hours of solitude, your cat could be lonely, hungry, thirsty, and bored. Also, their litter box will likely be very dirty. But, if you are only going to leave your cat home for short periods of time, you still need to make sure they are prepared. Make sure your cat has access to fresh water. If you plan to regularly leave your cat home alone, consider investing in a Cat Water Fountain. This can help make sure your cat has access to fresh, flowing water while they are alone. Make sure your cat has enough food. Food is another major concern when leaving your cat home alone. So, you should buy an Automatic Feeder to make sure your cat has access to enough dry food. Keep your cat’s litter box clean. Also, it is important that your cat has a clean litter box. If your cat will be home alone for longer than 24 hours, their litter box will start to get very full. To prevent this, think about buying a Self-Cleaning Litter Box. This will make sure your cat has a fresh litter box at all times. Prevent boredom. When cats are alone for too long, they start to get bored. Make sure your cat has plenty of toys to play with. You also might want to give them access to a cat tower or perch. When cats are bored, they might be tempted to start looking for other forms of entertainment. So make sure you remove any poisonous plants or dangerous objects from their environment. Give your cat plenty of attention. Persian cats crave attention. Before and after they are home alone, spend plenty of time petting and playing with your cat so they know they are loved. Cats need attention, fresh food and water, and a clean litter box. So, you shouldn’t leave an adult cat home alone for longer than 24-48 hours. If you are going to be gone longer than 48 hours, hire someone to stop by and care for your cat. But, even if you are only going to be gone for a few hours at a time, you still need to make sure your cat has access to everything they need. Make sure they will have fresh food, water, toys, and a clean litter box.